**Update** ~ Just a reminder of another Congressman Joe Barton "moment" earlier this year. He must be choosing his battles. Click Here for that quick reminder. We were wondering why Congressman Joe Barton has been so quiet since the feeding frenzy began. 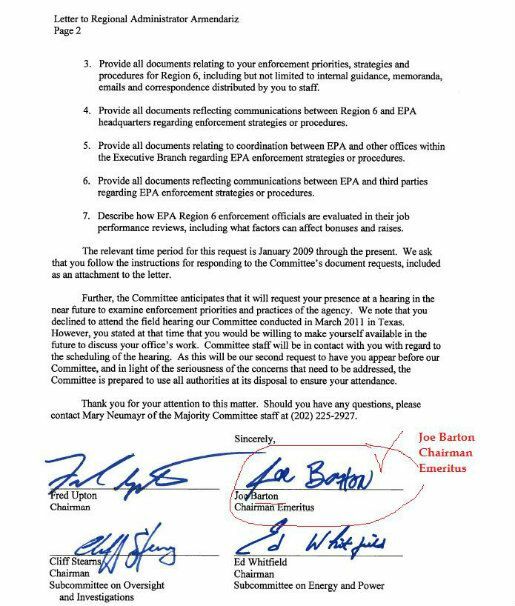 But now we find this 7-Pages of correspondence sent to Dr. Armendariz from Joe Barton this past Friday (April 27, 2012)...and we see that Congressman Barton is front and center with all the hoopla. Joe says he doesn't like "shakedowns" or "slush funds." Let's remember that, too. Click Here to read the CBS News Story About Congressman Barton's Outrageous Apology to BP. Rep. Jeff Miller, a Florida Republican, has called for Barton to resign as the ranking Republican on the committee, Politico reports. "I condemn Mr. Barton's statement," Miller said. "Mr. Barton's remarks are out of touch with this tragedy and I feel his comments call into question his judgment and ability to serve in a leadership on the Energy and Commerce Committee." Whew! Why don't we just pause for a quick Looney Tune? 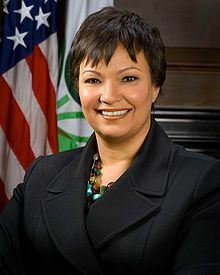 So, now, at this very moment, please write or call Lisa Jackson, Administrator of the EPA, TODAY. The current Region 6 EPA Administrator, Dr. Al Armendariz, has been working diligently for those of us in Region 6 since 2009. As you know, the Gas and Oil politicians are using a video (taken out of context from a very serious situation, by the way) to smear and diminish the work of the EPA in Texas. These politicians are NOT advocating for We, the People. In fact, based on what we have learned, they are more likely working for They, The Oil and Gas Industry. Many individuals and families are suffering because of the lack of adequate regulation of the shale gas industry in the Barnett Shale, the Haynesville Shale and the Eagle Ford Shale. This build-out of drilling operations so close to where people live and breathe has created problems for so many of our communities. We believe that Dr. Armendariz is uniquely qualified to head up Region 6 of the EPA. We know that he cares about the health effects many are experiencing now, and will, more than likely, experience in the future. Thank you, Ms. Jackson. Please continue to employ Dr. Armendariz as Region 6 EPA Administrator no matter what congressional politicians like Rep. Joe Barton or Senator James Inhofe say or do with this "shakedown." Stay tuned to this developing story...(and be sure to write that letter.) Thank you! Update: Dr. Armendariz Resigned Today (April 30, 2012). Joe Wins. We Welcome Senator James Inhofe to the Westchester Gasette. **Update, April 29, 2012** Well, we almost missed this, but now it appears that our very own Texas Congressman Joe Barton is signing on to this feeding frenzy. Click Here to See the 7-Page Letter with Congressman Barton's signature Front and Center. Oh, and there's more. Stay tuned. OK. Click here for the rest of the story. Now wait just a minute, Senator Inhofe. What did Dr. Armendariz really say? So, just in case you've been busy...here's the deal. 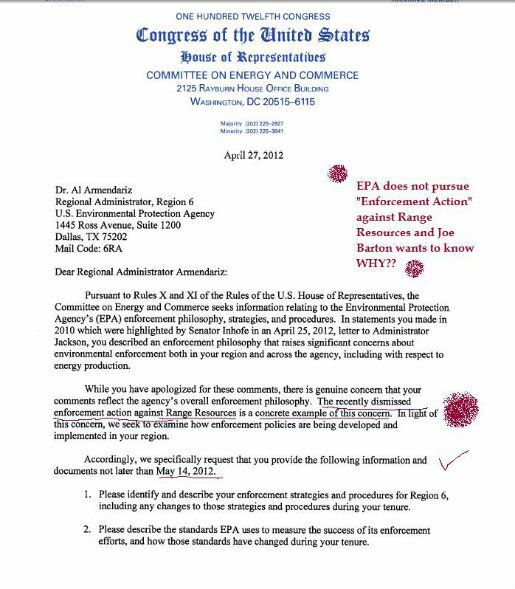 There is a certain story (introduced by Senator James Inhofe of Oklahoma on the Senate Floor this past week) that our very own EPA Region 6 Administrator, Dr. Al Armendariz, wants to "crucify" the oil and gas industry. Holy Cow! Of course, when we heard this, a couple of days ago, we were shocked beyond words. I mean, who wouldn't be? But then, taking a step back from a feeding frenzy sometimes helps us see things in an entirely different way. And definitely not the way Oklahoma sees it. Lord have mercy for they know not what they do. "You make examples of people who are NOT complying with the law..."
Keep in mind, that the video in question was taped when Dr. Armendariz travelled to Dish, TX in the Spring of 2010 to meet with the Mayor of Dish ~ Mayor Calvin Tillman ~ and his community. His community was worried, stressed and concerned about safety and health effects from the 11 Shale Gas Compressor Stations that had recently landed in his very small town in Denton County, TX. So, with ALL of that background about Dish, TX in mind, watch and listen carefully as Dr. Al Armendariz speaks to and answers questions from the worried citizens of Dish, TX on a Spring night in 2010. 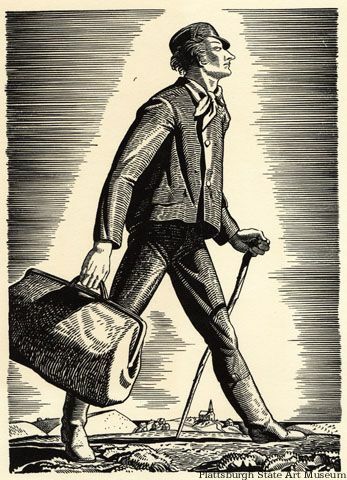 By the way, Mayor Tillman eventually left his town behind. Clearly, Senator Inhofe has no idea what﻿ has happened to Dish, Texas. And why Dr. Armendariz was there in the first place. People in Dish, Texas were simply asking for help and protection. And no one in our state (Texas) was helping. 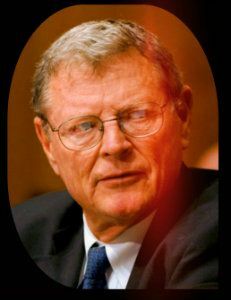 Now watch Oklahoma Senator James Inhofe on the Floor of the Senate, Wednesday, April 25, 2012. Goodness Gracious. Who Crucified Whom? This is your U.S. Congress "Protecting" Us from Harm. Oh, and they want to have a hearing, too. God. Help. Us. Please. Write to Lisa Jackson, Now. 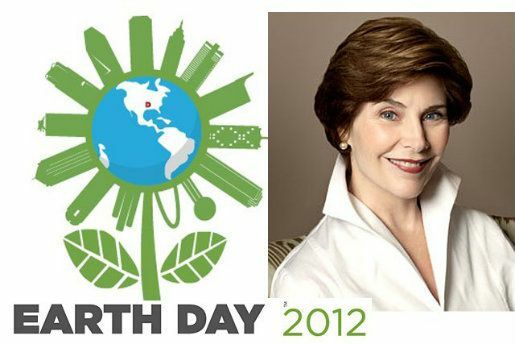 Laura Bush Launches "Taking Care of Texas"
Former First Lady Laura Bush was a Featured Speaker during the weekend's Earth Day festivities. From all appearances, Mrs. Bush is Fired Up! and Ready to Take Care of our Texas Land! And not a moment too soon!! Upon further inspection, we certainly don't see anything on the new "Taking Care of Texas" web site that speaks to taking care of shale gas drilling and fracking. Maybe a nice tour of the old Barnett Shale will provide additional inspiration for Mrs. Bush as she prepares for her 2013 Conference in Fort Worth, Texas. Oh, "Taking Care of Texas" says they Can Do Conservation! Wow. Where have we heard that before? We here at the Westchester Gasette certainly know about Fort Worth Can Do ~ which stands for Fort Worth Citizens Against Neighborhood Drilling Ordinance. We wish "All the Best" for Mrs. Bush's new project. 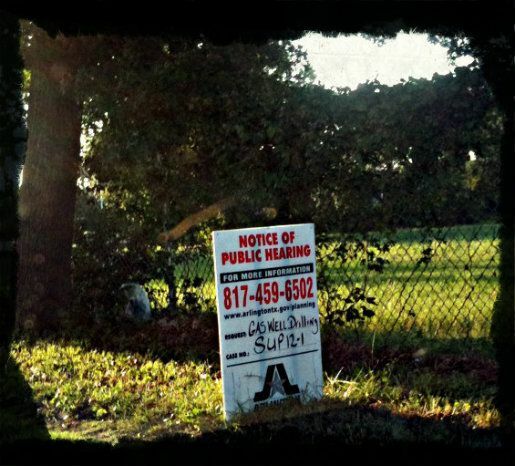 We hope her project will take a real good look at "conserving" the Mountain Creek area of Southwest Dallas, too. We're concerned that someone she knows has his sites sights set on it. And it doesn't appear to be a conservation effort, either. Of course, now we know,"It Ain't Just Steam." in southeast Arlington, Texas. In recent years, DR Horton (America's Builder) has been holding on to the minerals and groundwater when they sell homes in their subdivisions. DR Horton Development. Clark Road. Dallas/Duncanville, TX. 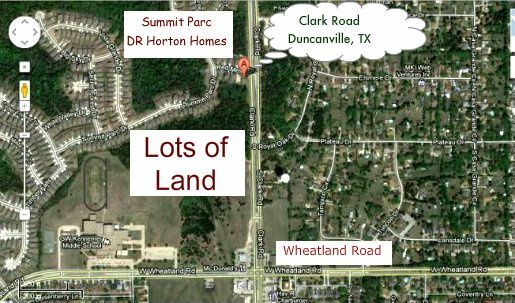 Click here to see all the DR Horton "projects" in the area. "Amid fracking fears, lenders refuse to fund DR Horton homes." Scroll down to Exhibit A in the above mineral deed to see the general location of the property being deeded. Kind of Important Question: So, why are George H.W. Bush's ancestors discussed in a DR Horton Mineral Deed??!! If it's not one BIG Monster earthquake waiting to happen, what is it? God Help Fort Worth, TX. Please. Apparently they're going to vote to "ban" disposal wells in Fort Worth City Limits forever during tonight's City Council Meeting. Click here to read the story in yesterday's (April 9, 2012) Fort Worth Star Telegram. Banning disposal wells means some other community or farmer or rancher will continue to receive Fort Worth's toxic waste. It's truly one big fracking mess. Holy Cow! So, the Fort Worth City Council votes Unanimously to BAN all "waste" water injection wells in the City Limits but then immediately holds a Public Hearing on fracking under the Martin Luther King Rec Community Center. It passed Unanimously, too. So, they want MORE waste? 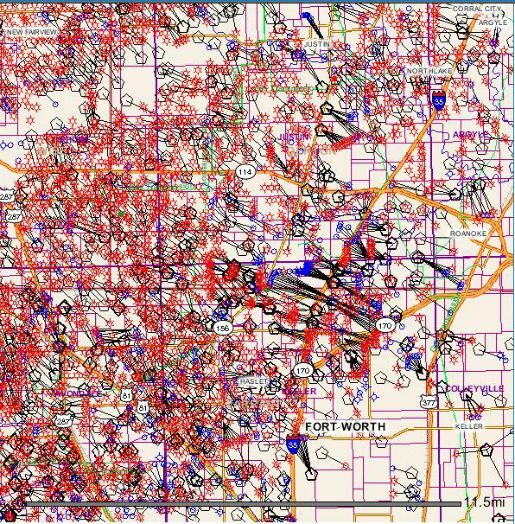 More Toxic Waste to continue to contaminate North Texas communities via injection wells elsewhere? This is very, very sad for all of us, Fort Worth. Thanks so much. We apologize for this Update. Now, back to your regular programming. honoring Confederate Veterans who served during the Civil War. 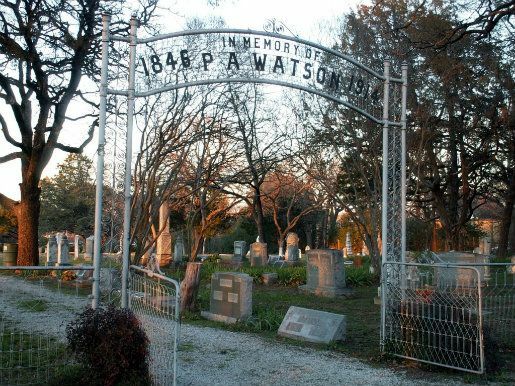 Drilling and fracking so near this historical cemetery shows such disrespect for our past. AMEN. Dateline Arlington, TX: We have seen it many times before. 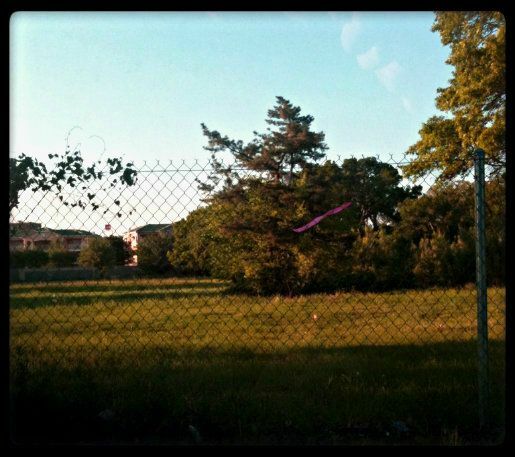 A church or another business entity owns a fairly large piece of undeveloped land inside City Limits. A shale gas operator finds it, makes a deal and...before we know it, everything is ready to go through the approval stages. The City does a little tap dance and all vote in unison for approval. Cities all across the Barnett Shale revere their shale gas deals. 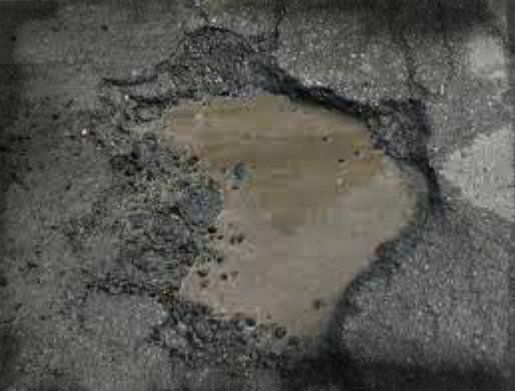 And as we so often find in shale gasland...there can be many unknown potholes on the road to that promised land. The Colony -- An investment group established by Maharishi Mahesh Yogi, a meditation guru who once inspired the Beatles, is apparently hoping that a mixed-use development in The Colony will hasten its plan to establish "heaven on earth." The clock is finally ticking for Hartford's 1960s-era Clarion Hotel, the 12-story eyesore in spooling white concrete worthy of an Eastern Bloc nation that sits in the way of hoped-for redevelopment of Constitution Plaza downtown. Instead, exactly nothing happened for the past 15 years, resulting in the haggard, water-damaged wreck that today sits astride Kinsley Street on Columbus Boulevard. Hartford City Assessor Larry LaBarbera recently toured the inside of the building, with flashlights since there's no electricity, and describes it as "totally devastated." In 2003, the MGDF abandoned plans to build a mixed-use development on about 300 acres in The Colony, Texas, that would have included the world's tallest skyscraper, according to the Dallas Morning News. THE COLONY (CBSDFW.COM) - A theme park in The Colony? It could happen. Years ago, the Maharishi Global Development Fund wanted to build a 1,600 foot tower on the land. Budget Inn Suites in Grand Prairie, TX: Just a Few Feet from Proposed "Maharishi Pad Site"
On March 16, 2012, the Community Development and Planning Department received a letter opposing the zoning case. As the owner’s signature represents only 7.9 percent of the land area within 200 feet of the subject site, approval of this case will not require super majority vote of the City Council. The applicant requests approval of a Specific Use Permit (SUP) for gas drilling on a 5.035-acre tract of land zoned Entertainment District-Industrial Manufacturing (ED-IM). The property is addressed at 601 Avenue H East; generally located north of Avenue H East and east of State Highway 360. The subject site is currently undeveloped with frontage on Avenue H East. The City of Grand Prairie borders the north of the subject site, while there is undeveloped land to the east, office and *cemetery uses to the south, and office and gasoline retail uses to the west. The operator plans to drill 14 to 37 wells on the site. However, due to the fluctuating demand of natural gas and market prices, the applicant does not have an estimated timeframe of when drilling activities will be complete. The applicant has identified a proposed pipeline from DFW Midstream that will serve the site. The line is an eight-inch Maharishi lateral that will connect to the future Great Southwest Parkway 16-inch lateral. Enough already. 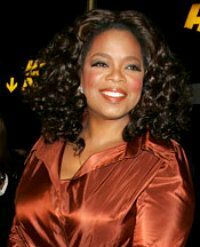 Maharishi Global Development Fund is a non-profit organization with assets of $122,580,646 at the end of 2010.